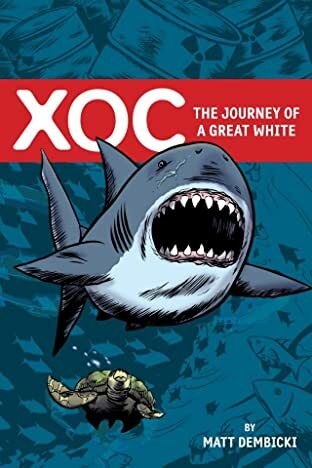 143 pages! 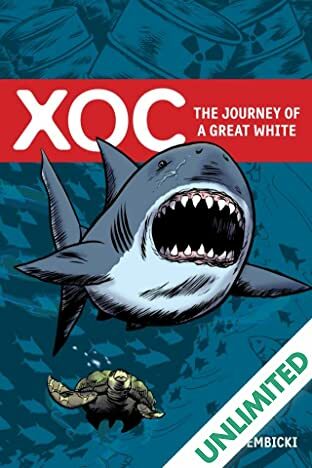 Xoc explores the ocean's wonders through the eyes of a great white as it treks from the Farallon Islands off the coast of California to the warm waters of Hawaii some 2,300 miles away. 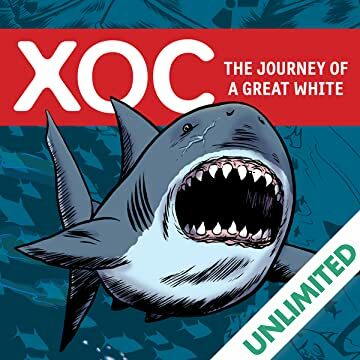 Along its journey, the 17-foot shark encounters natural prey and predators - from skittish seals to brazen orcas-as well as man-made impediments that threaten not only the giant fish, but the balance of ocean's ecology.